Give the gift of food! 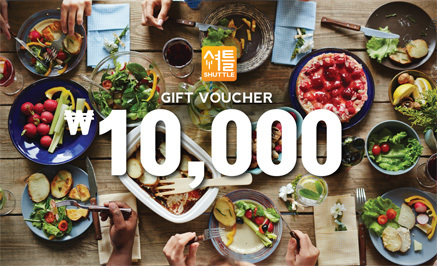 Shuttle gift vouchers are available in amounts of 10,000 won, 25,000 won, 50,000 won or 100,0000 won. Please fill in your name and email address, so we know who to send it to. You will receive the gift voucher and can then either use it yourself or give it away if it's a gift. You can gift Shuttle credit to your friends and family—it's the perfect gift for Christmas, abirthday, or just to let someone know you are thinking about them. Gift vouchers are issued by email using a unique code. You can print out your voucher or share it electronically. You can use the gift voucher by clicking "Use Code" in your account or when placing an order. 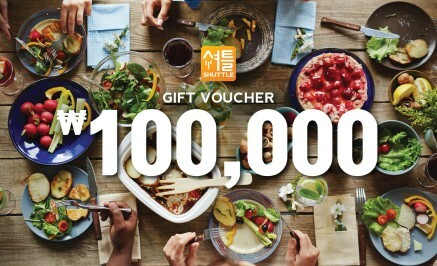 Your gift voucher is valid for more than one order.